We are looking for writings! On October 17th, we hosted an anti-racism night with lectures by Arzu Aslan and Sarita Bajnath (you can read a reflection on the night here). Since racism and specifically anti-racism are such urgent topics, we would like to extend a discussion on them beyond this night, and continue the sharing of reflections and thoughts on our website. A reflection on books related to (anti-)racism such as, but not limited to: Hallo witte mensen by Anousha Nzume, White Innocence by Gloria Wekker, Everyday Racism by Philomena Essed, Citizen: an American Lyric by Claudia Rankine. We are eager to introduce books and writings on (anti-)racism to our readers through your reflections. A review of Guess Who’s Coming to Dinner too?, the art community project by Patricia Kaersenhout currently exhibited at WOW or on the events organized alongside the project. A review of the past Gordon parks exhibition in Foam, I Am You. An opinion piece, reflection or review engaging with Dutch (anti-)racism, your experience of it, and initiatives within the Netherlands and Amsterdam taken to address it (think for example of the Dutch podcast Dipsaus and The Black Archives). An opinion piece on the topic of (white) fragility, racism, colorism, and/or their connections. An opinion piece or reflection on the intersection of racism with other identities; specifically, we are thinking of submissions that focus on the intersection of (anti-)racism and islamophobia, and the intersection of LGBTQIA+ identities with (anti-)racism. Any other piece that falls under the category of creative writing, opinion piece, film review, music review, event review, guide, academic writing, or interview. You can find the guidelines for the different formats here. 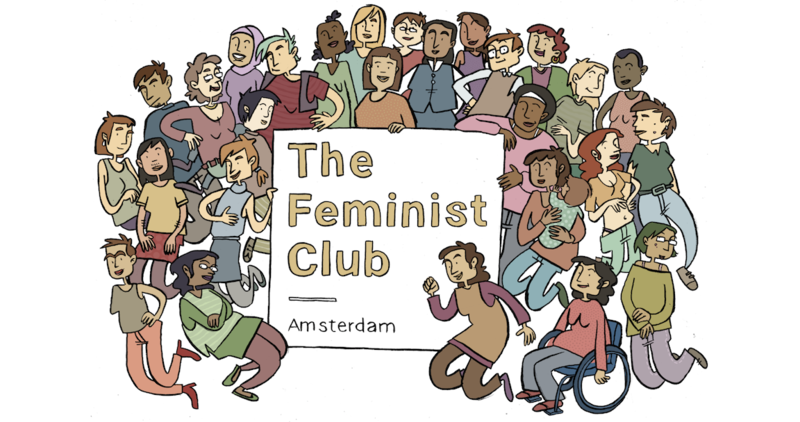 You can send us your writings through website@thefeministclub.nl. * We also accept anonymous submissions, as well as submissions that are in Dutch.